Lithium-sulfur (Li-S) batteries have been under development for years, and have already demonstrated the ability to store 400 Wh per kg of batteries. However, this time, there is an all-solid lithium-sulfur battery that could do even better. Will it last longer than previous lithium-sulfur batteries? Image Credit: Oakridge National Laboratory. Lithium-sulfur batteries have been stated to last “few tens of cycles” before malfunctioning, according to a scholar at Stanford University, Johanna Nelson. This was said to be due the loss of sulfur in the cathode. This is another reminder to stay as objective as possible. Sometimes researchers come to incorrect conclusions and then base future research and designs on those conclusions. This new solid battery (not to be confused with solid-state batteries) was able to survive 300 cycles without malfunctioning, and it still achieves four times the energy density of conventional lithium-ion batteries. Its success is partially attributed to reduced “sulfur dissolution,” because the electrolyte is solid. 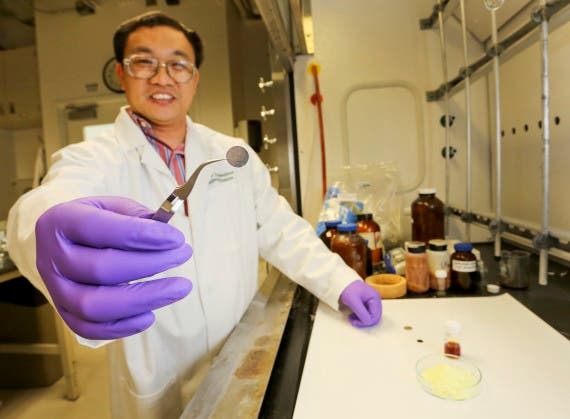 The researchers developed this battery’s electrolyte and cathode with sulfur that was obtained as a byproduct of oil extraction, which helps keep the cost of it down. Using byproducts instead of mining them also tends to be the most sustainable way to go. Another heartwarming fact is that sulfur stores more energy than the other, less-sustainable transition metals used in lithium-ion battery cathodes.